This is my third Colleen Hoover book and I must say that I am yet too be disappointed because each book seems to be better than the last. I known that many people believe that Colleen Hoover’s books are just cheesy, over dramatised romance novels and I must admit that that too was my initial reaction, however now I can honestly say that each novel has taken me by surprise. Yes, they are cheesy in terms of the romances and Hoover likes to go to extreme lengths to describe any sexual moments between the characters, in fact her writing reminds me a little of Jennifer L. Armentrout’s in that sense, however she builds incredible stories surrounding those characters and is able to make her audience see past the stereotypically attractive teens and their mundane lives. As some of you may know if you’ve read my previous reviews, I recently read ‘All the Rage’ by Courtney Summers and loved it because it was raw and real. I was not expecting this book to have a similar topic when I started it, I was simply expecting some romance between the broody mysterious guy and the ‘perfect’ girl. Sky and Holder were very real and perhaps some may think that they were over dramatised but unless someone has gone through something that traumatic how are we too know what is classed as being overdramatic snd what isn’t… This book was refreshing because it wasn’t simply about the teen romance but the long lost friendship, the harsh reality of ones past, the secrets, the lies and most importantly the fact that whether you are an adult or child, you are still responsible for your actions and it takes great courage to face the people you have wronged and yourself. 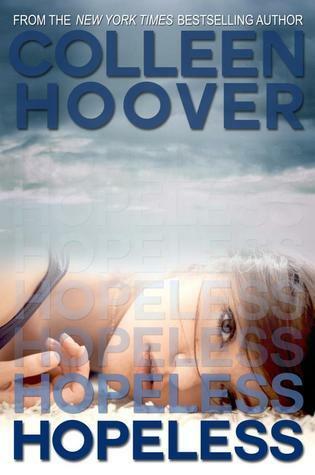 I am excited to read more of Colleen Hoover’s work and see if there are any novels that of hers that I don’t like or whether she is guaranteed a spot on my list of top 10 Authors. You should! It is an amazing book!